A Georgia teen allegedly murdered her own grandfather in cold blood. But while pulling the trigger was easy, she wasn’t sure if she could handle dumping the body by herself. So she called some pals and everyone helped out. Savanna Marie Jennings, 19, was charged with murder along William David Peterson, also 19, for the death of her 86-year-old grandpa, Otha Perrin. A third teen, identified as Dakota Scott Street, 18, was arrested and charged in connection to the alleged cover-up. 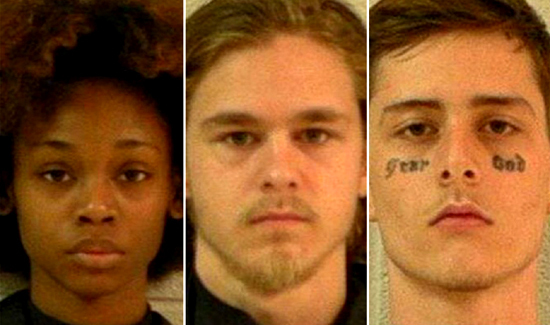 It’s unclear which of the suspects has the “Fear God” tattooed on his face.